Animalandia - Nopolo News​ ​"​Events & More"
Look into the eyes of love! Maryanne Austin shared a post. 14 hrs · Loreto Mixed feelings as I write my last ANIMALANDIA post before heading back to Canada for the summer.  ✨Animalandia has a three day Sterilization Clinic Sunday May 6th, Mon 7th and Tues 8th. We are looking for volunteers for morning or afternoon shifts for each day. A lot of our winter volunteers have headed home so anyone still around your help would be much appreciated! ✨ Volunteering at a Clinic is a heart opening, chaotic and very real experience. You will be comforting and caring for the dogs coming out of surgery as well as walking dogs around the compound prior to surgery. Seasoned volunteers will show you the ropes. Please PM Misty Mattics to sign up for shifts. 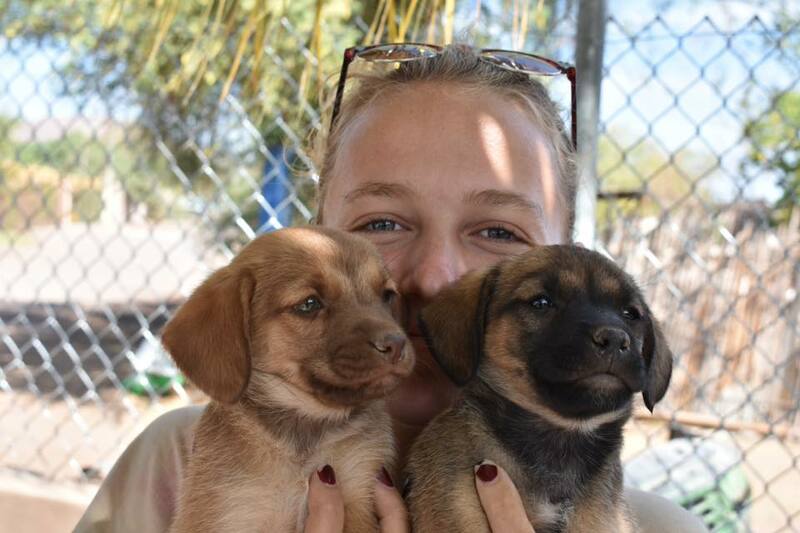 You can also volunteer by providing Purina Puppy Chow (much needed as we have mucho puppies right now) bottled water, paper towels and snacks for the volunteers. If you feel drawn to provide a lunch for the volunteers. Pm Dee Wise. THANK YOU! Animalandia is also looking for volunteers to work 1 or 2 mornings per week feeding dogs and cleaning kennels. This is as frontline as it gets in the dog rescue world. Pm Misty Mattics. Animalandia is located in Loreto, follow Benito Juarez towards ocean, turn left on Indepencia, go past Leys Grocer, turn right on Parabolica and Animalandia is the brown compound on the left hand side. We have a sweet girl named Meeka that is in need of a 5 week foster home. See her picture below. We have many pups for adoption. Please come meet them any morning between 9-11am. Have an awesome summer all. Thank you so much for your care, donations and good wishes for our precious rescues.  A very busy week we have had at Animalandia!! Oh yes! 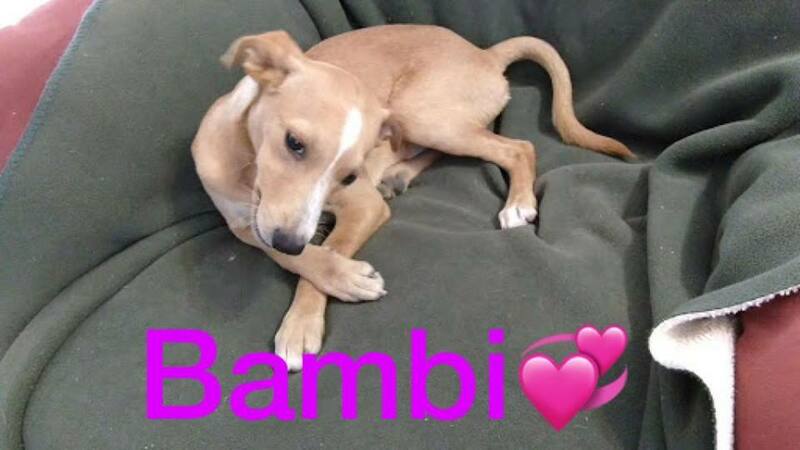 Animalandia has some sweet dogs looking for furever homes. Thank you to our wonderful community for opening your hearts to these precious dogs in need and providing homes through foster and adoption, dropping off canned food and monetary donations. Muchas gracias! Please come to Loreto and visit us any morning between 9-11am (turn left off Benita Juarez onto Missionares then left on Parabolica and Animalandia is on the right). OTHER LOCAL GATHERING SPOTS IN LB. ​IN THE ASSOCIA OFFICE (613-137-8290). "All of us at Animalandia want to thank everyone that has donated dog/cat food recently for all the homeless dogs at the clinic. It is so appreciated. Also, a special thanks to Dave and Kelly Lehran (who are here on vacation) who put up shade cloth on all our outdoor kennels. Thanks also to Augie and Enrique Ortega for helping supply the materials. Another special thanks to Rebecca Pointon for she and her families generous donations over the years in support of our dogs in need. Of course a huge thanks goes out to Patrick as well. Not sure how many people have heard of him but this is the very generous man who gives most of his time to the homeless dogs of Loreto and surrounding areas. Patrick takes dogs north at his own expense monthly to no kill shelters in Ca. and Oregon. Thanks to Kristen Winn, Dee Wise, Maryanne Austin, Rich Rajacich, Misty Mattics, Asheya McIsaac, Deb Stewart, Chris Driscoll and others in Loreto Bay and Nopolo, (fund raisers for all the animals in our communities) who help pay expenses for the dogs going north in the way of flights, being put on rescue buses to various shelters in northern Ca., and Oregon, paying for the animals to be accepted in the various shelters, etc. To date, a few hundred Baja animals have been taken north and I can happily say that all have been adopted out. AML is still in need of volunteers to help Linda, Misty and Susan who give their time to the clinic on a daily basis, caring for all the dogs and cats abandoned or handed over to the facility. Volunteers are needed from 9:00 AM until approx. 11:00 AM. There will always be two people feeding, cleaning, socializing the animals, walking them, etc. It is very rewarding work (although the few volunteers we have now could use a few days off). Even if you can only give one morning per week. The clinic could never survive without help from the community, dog food, donations, work on the clinic grounds, etc. We can't thank you enough for being part of the Animalandia team. Great job everyone!!! Those interested in helping in any way can contact Misty Mattics (613 109 3979) or Linda (613 105 5599). I wanted to share my experience with Animalandia Loreto BCS, as I know it is one of many success stories. I want to take this time to recognize the community that makes these happy endings possible. They are nothing less than incredible. 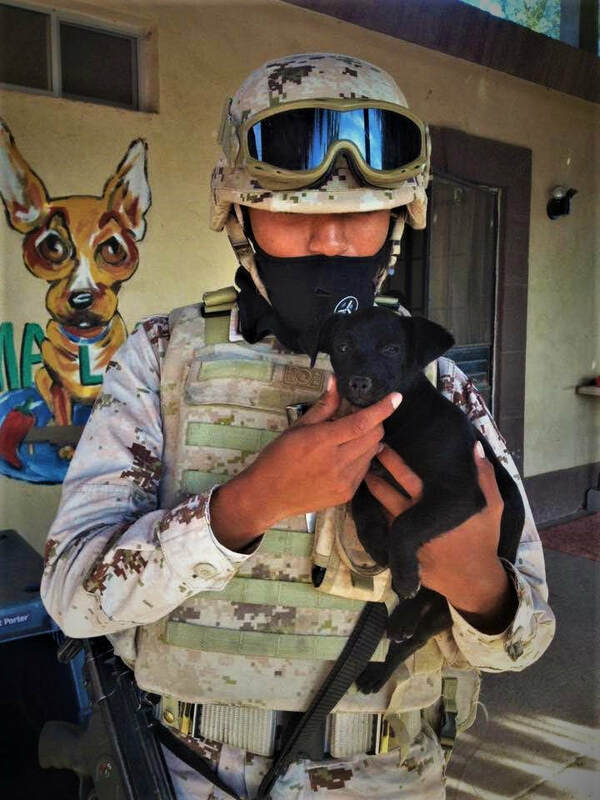 The team involved with Animalandia and SOAR spend their time and energy watching out for the animals in Loreto that are in desperate need of help and a furever home. A whole crew was involved to bring Jax into my life, and it still amazes and inspires me as to how big their hearts are. Animalandia would love your help whether it be adopting, fostering, donating money/food/time, or even spreading awareness in the community- every little bit helps! I love hearing all the success stories, and can't wait for more to come. Animalandia is finally out of all the wonderful dog food donations over the past several months. We are now in desperate need of adult dog food, puppy chow and dry cat food. 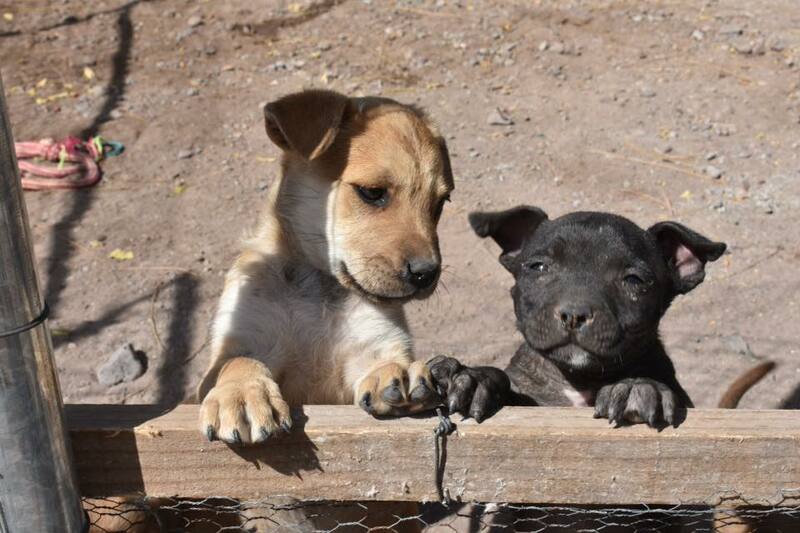 At the moment, including fosters, we have a total of 20 dogs that we are caring for that need new homes. We are going through a lg. bag of dog food per week. The dogs like Top Choice from the Bodega, Pedigree Vital for puppies from the big feed store in town (yellowbag) or Mainstay for the bigger dogs. Dogs and cats will not eat Pal dog food. We buy the cats Whiskas. Also, at the moment there are only two volunteers feeding and cleaning at the clinic. Volunteers are badly needed to give the two that have been working all summer a break. It only takes 1 to 1 1/2 hrs. to feed and clean each day. We ask that volunteers work from 9:00 AM until approx. 10:30 AM. Even one day a week is greatly appreciated. If two could work together, it makes things much easier. There will always be someone for you to call should you have questions once you arrive at the clinic (like someone dropping off a new dog while you are there). Anyone that is available to volunteer (even one day per week) would be so appreciated. Thank you for your continued support. Please contact Linda Welch or Misty Mattics regarding food donations or if you would be available for volunteer work. One, is Segunda Chansa, a private dog shelter in town founded and run by Patrick McGorky. Two, is Animalandia, the spay and neuter clinic in town, run by Lucy Gonzales and Misty Mattics. 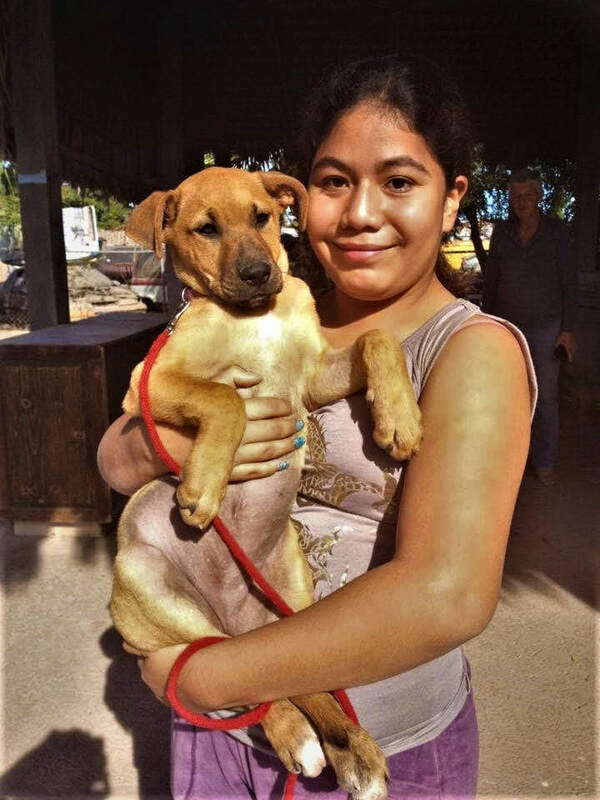 about spay and neutering to families that Ramon Peralta sponsors. We also purchase dog food for Lucy to distribute to families in need. care but their owners can not afford the care. put in the animal donation bin at the Community Center. work at spay and neuter clinics, and/or feed dogs at Animalandia. supplies and/or would like to volunteer.